Interviews on “delegates’ passage” continued today. Twenty delegates working in sectors like anti-corruption, cultural exchange, special education and city cleaning, have been interviewed. They talked about the report President Xi Jinping delivered and the job they have done. 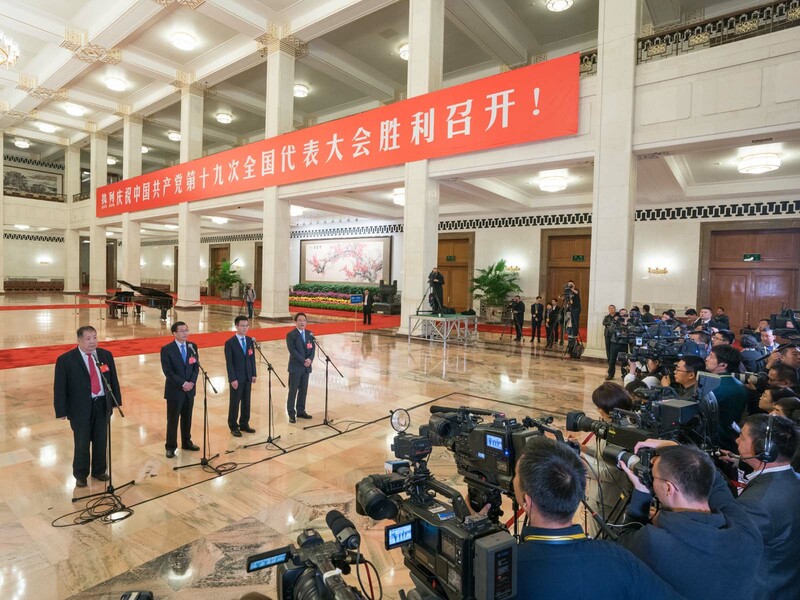 Wang Liping, deputy secretary of Jiangsu Provincial Commission for Discipline Inspection, recalled the thunderous applause broke out when Xi mentioned anti-corruption. Wang remarked that the applause is for the Party’s anti-corruption efforts in the past five years. While emphasizing the importance of a more mature system, Wang noted that in Jiangsu, provincial and city-level research centers on corruption cases have been set up. Those centers analyze every finalized case to find out the reasons causing corruption and any loopholes with the anti-graft system. Liu Zongfu from a state-owned power plant in Beijing introduced their efforts on reducing carbon emissions. Liu quoted Xi’s report, which demands addressing environmental issues at the root. Liu said that his company has made continuous efforts on equipment upgrade and renovation and its job on emissions control has always been the best among domestic power plants. He promised that the company will provide the capital with clean electricity this winter. Yang Xiaoling is a dance teacher in a school for hearing-impaired children. She called for more government support for school building and teacher training for special education and talked about how special education could better help hearing-impaired kids find jobs when they grow up. Yang believed China’s special education would have a promising future with the increasing supportive programs from the government. Xun Xiaohong has served as a sewer cleaner in northeastern China for over two decades. She cleans out over 300 barrels of mud every day, with each barrel as heavy as over 10 kilograms. During the long and extremely cold winters in northeastern China, she cleaned sewers with her clothes frozen for the temperature hovered lower than minus 20 degrees centigrade. She felt no regret for taking up this occupation and her motto is to do things serving the country and people. The third and final round interview on “delegates’ passage” is scheduled to be held after the closing of the congress.